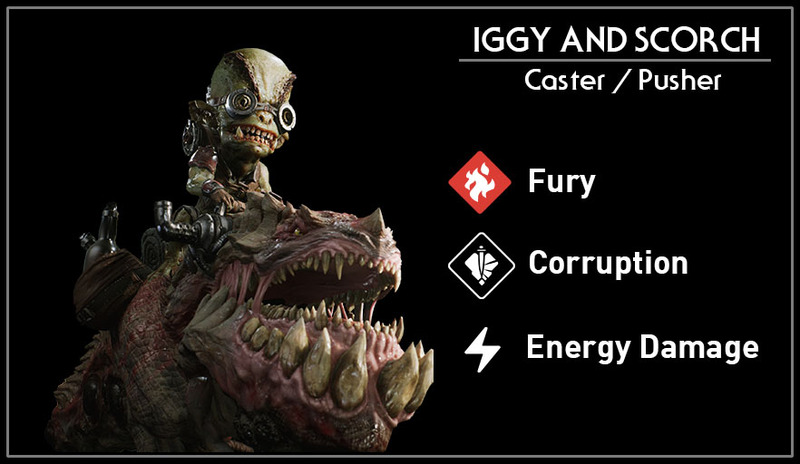 Iggy and Scorch is a caster type hero who specializes in lane control. 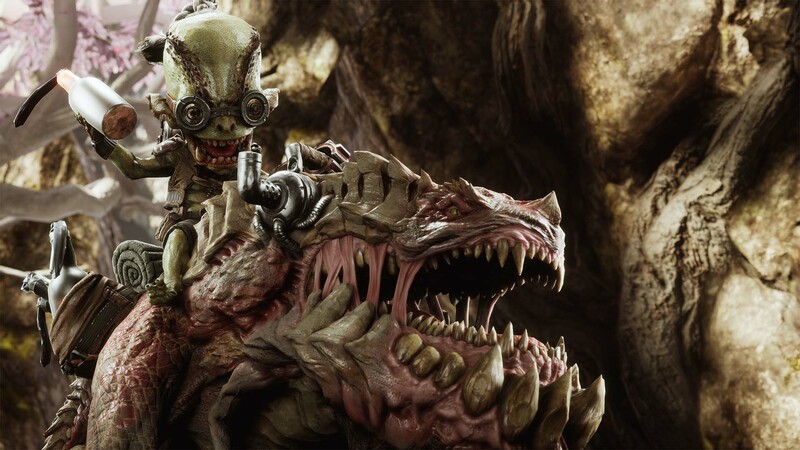 His turrets can easily clear a minion waves and can completely zone out enemy heroes and gankers. Remember that all of his fire skills, including his basic attack, ignites his oil slick. Don’t forget to upkeep your turrets because these are your main source of damage in lane. When igniting enemies coated with oil they start burning, taking damage over time. Ranged basic attack that explodes on impact leaving the ground burning. Can ignite oil. Gain a short burst of movement speed while leaving four smaller oil slick patches on the ground behind you. Drops a turret at target location that lasts 10 seconds and automatically attacks targets within the range of its flamethrower. Turrets will always prioritize enemy heroes. Turrets will automatically explode when out of fuel or times out. Throws a bubble of oil at a target location that leaves a large oil slick patch on the ground for a few seconds. Oil is applied to any enemy that walks on the oil slick and can be ignited for extra energy damage. Spews fire in a frontal cone for a few seconds dealing damage over time. At the end of the duration or if the ability is reactivated, a giant explosion knocks enemies back.